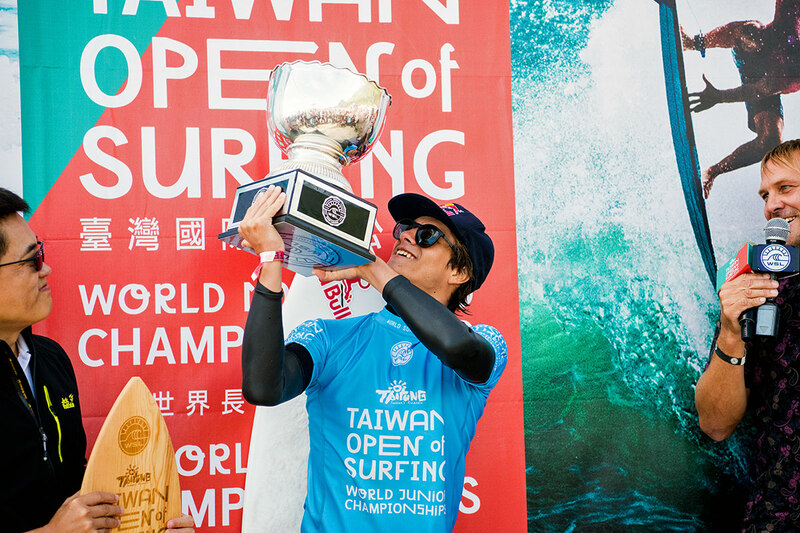 A last-minute decision for 17-year-old Brazilian Mateus Herdy to jump on a plane from Hawaii was vindicated when he claimed victory at the Taiwan Open World Junior Champs yesterday. Herdy, who defeated Californian Eithan Osbourne in solid windblown conditions at Jinzun Harbour, had jumped on a plane from Hawaii to Taiwan for the wildcard spot after dropping out of the Sunset QS event, and following a finals berth in the Hawaiian Pro QS10,000 event. His last-minute decision sees him join the likes of heroes Adriano de Souza and Gabriel Medina as a Brazilian World Junior Champion. Herdy was the surfer to beat all week, posting excellent scores in every heat he surfed. He saved his best performance til' last. 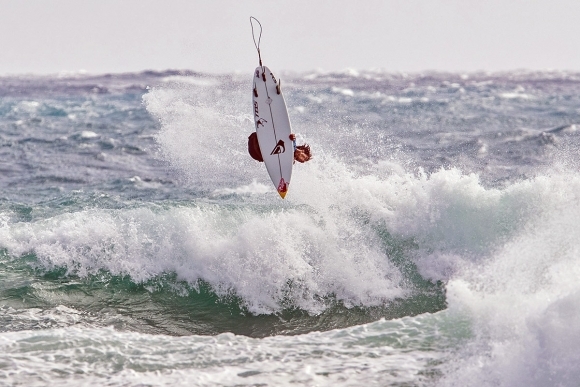 In the final, he posted a two-wave total of 18.37 that included a near perfect 9.77 for two air reverses and a number of turns on one wave. Osborne battled hard but was left in a combination situation (needing two scores) for most of the 35-minute match up. The South African contingent did okay against an unbelievably talented field of hungry young surfers, with some notable performances with Luke Thompson and Luke Slijpen securing joint 13th spots, but no-one made it past Round 3. The acronym RSA may not have featured in Round 4 or the quarter-finals, but it was amazing to see seven nations represented in the last eight. Samuel Pupo (BRA), Rio Waida (IDN), Osborne (USA) and Mateus Herdy (BRA) were the four to go through to the semis, defeating Te Kehukehu Butler (NZL), Caleb Tancred (AUS), Cole Alves (HAW) and Yuji Nishi (JPN). Waida made history for his country by becoming the highest placed Indonesian surfer in a WSL World Championship event. He was a standout and looked destined to end up in the final, but fell short in the semis against eventual winner Herdy. Known for his incredible free-surfing, Osborne was the surprise packet of the event, this being his first WJC, the Ventura whiz-kid dominated some of the event’s biggest competitive names with his incredible air game. Osborne was disappointed to fall short in the final but was stoked to know he could compete with the best. On his way to the Final, Osborne dispatched Brazilian World Championship hopeful Samuel Pupo in their Semifinal Match-up. Pupo was on fire all event, posting some of the highest scores. 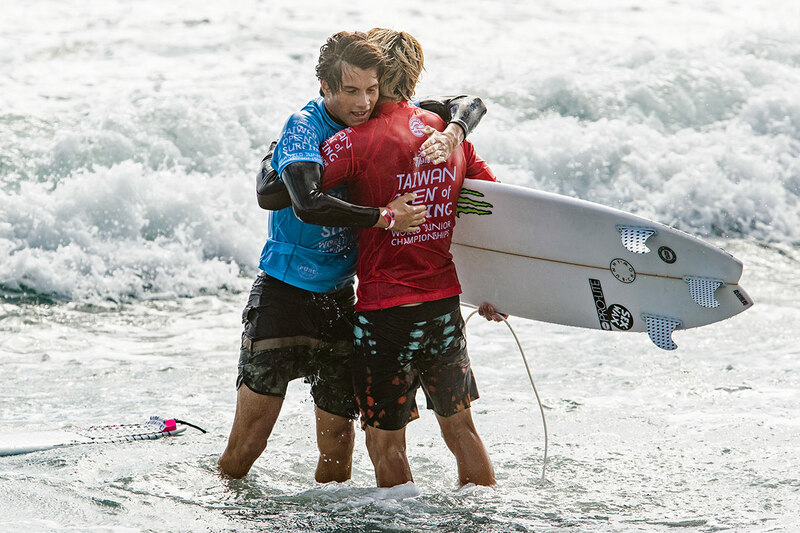 Unfortunately for the young Brazilian, he fell short on Finals day and leaves Taiwan with an equal third place finish, his best at the World Juniors.